In this article we have collected 8 Best PrestaShop themes for your eCommerce Website. PrestaShop is a free, open source PHP based professional e-Commerce platform. From its humble beginning in 2007, the PrestaShop community has grown to include over 6 million members and is considered to be one of the best open source e-Commerce platform. PrestaShop is the winner of the 2010 and 2011 Best Open-source Business Application awards. The software provides over 310 built-in features including unlimited product inventory management, layered navigation, fully customizable templates, analytics and reporting, promotion rules, multi-store management, unlimited currencies and return management. 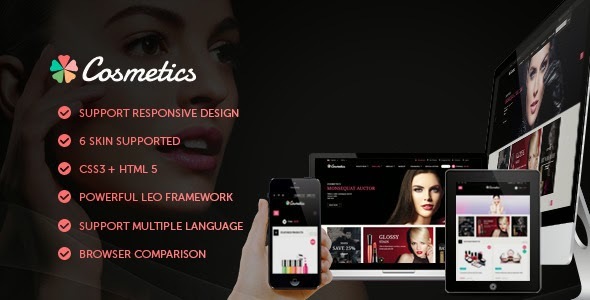 Face Art Prestashop Responsive Theme is designed for cosmetic, beauty, women and fashion stores. 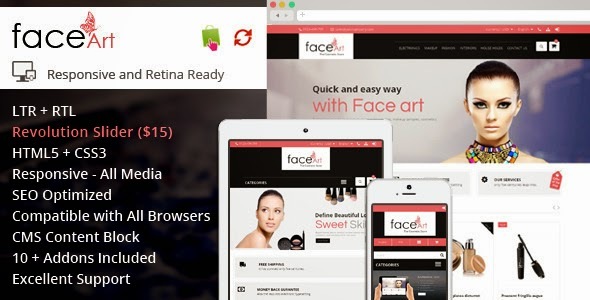 Face Art Prestashop Responsive Theme is looking good with colors combination. All sub pages are customized. It is very nice with its clean and professional look. 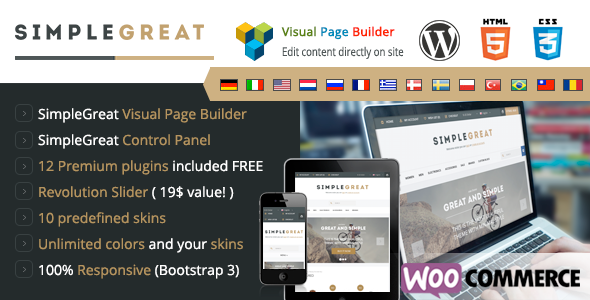 SimpleGreat is a Premium Responsive PrestaShop theme with powerful admin panel, different layouts, built-in skins, blog and unlimited colors. Leo Cosmetics is suitable for any eCommerce sites about cosmetics and beauty equipment. This layout is clean and smart with many effect when hover. This template is fully functioned and provides an unlimited style variation. Its design is perfect for Cosmetics Shop, beauty Store, Nature Stores, Jewelry shop, Fashion Shop. Flatro is a Metro Inspired flat PrestaShop Template With Powerful Admin Options for PrestaShop v1.6. The theme is clear, easy to customize PrestaShop Theme (easy to change your theme color, 12 Predefiend Skins Upload Custom Background,600+ Google Web Fonts). Many features, such as Blog Options, Ajax Product Search, Mega Menu, Fully Compatible with Multi-Store and Multi-Language. BONITA is a Premium & Responsive Prestashop Theme can be use for any e-commerce store, Clean & modern design suitable for any type of products, BONITA! responsive prestashop theme is a flexible theme completely adjustable for any device. Alexis Prestashop Theme have been professionally designed for online store selling clothings, fashion, high fashion, modern fashion, hats, shoes and accessories,.. Creating and building your very own online clothing or fashion store has never been easier. 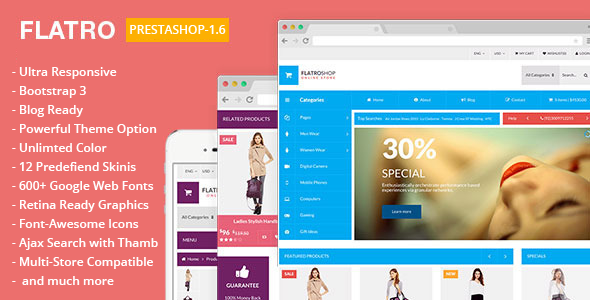 Magma Fashion Responsive PrestaShop Template With Powerful Admin Options for PrestaShop v1.6. The theme is clear, easy to customize PrestaShop Theme (easy to change your theme color, Upload Custom Background,600+ Google Web Fonts). Many features, such as Blog Options, Ajax Product Search, Mega Menu, Fully Compatible with Multi-Store and Multi-Language. Leo StyleShop Template design accentuate the refined style of goods sold. This template is fully functioned and provides an unlimited style variation. Its design is perfect for Furniture Shop, Deco Store, Interior Stores, Mobile shop, Fashion Shop, Baby Shop. 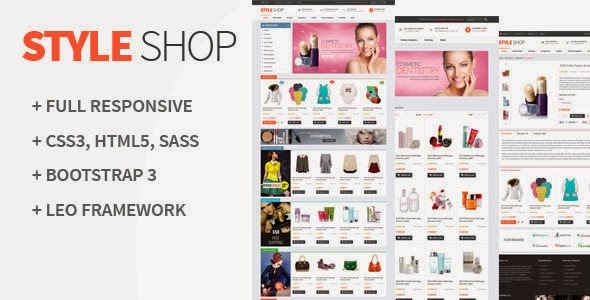 Item Reviewed: 8 Best PrestaShop themes for eCommerce Website 9 out of 10 based on 10 ratings. 9 user reviews.